Miami is committed to maintaining a safe and secure environment. Each member of the university community has a responsibility to contribute to the well-being of the community. No matter how careful we are, accidents can happen. If you suffer a work injury, you are covered under workers' compensation insurance through the state of Ohio. We are committed to providing equal opportunities for all individuals. Learn more about accommodation and accessibility at Miami. It is the University’s responsibility to provide testing in accordance with our Drug and Alcohol testing, and in compliance with all Federal and State laws and regulations, and within the provisions of these rules. The University retains all records related to testing (and the testing process) securely and confidentially. Miami is proud to offer employees covered under Miami's group life insurance policy (issued by Liberty Mutual) several Employee Assistance Programs (EAPs). An EAP is a work-based program that offers free and confidential assessments, short-term counseling, referrals, and follow-up services to employees who have personal and/or work-related problems. The University has partnered with TriHealth to provide a high-quality employee clinic on the Oxford campus at no cost for employees and dependents covered by Miami's health plan. Please note: You must provide a photo ID and UMR ID card to receive services at the clinic. Ergonomics is the process of designing or arranging workplaces, products, and systems so that they fit the people who use them and minimize risk of injury or harm to employees. At Miami, we use the phrase Healthy Miami to describe our commitment to creating a supportive culture of health and wellness on campus through comprehensive benefits, healthcare, and wellness programs. See Benefits and Wellness. Disability is often called the “forgotten risk,” as few employees think about how they would survive financially with no earned income. Long-term disability insurance provides partial income replacement for employees who are unable to work due to a qualifying non-occupational illness or injury. 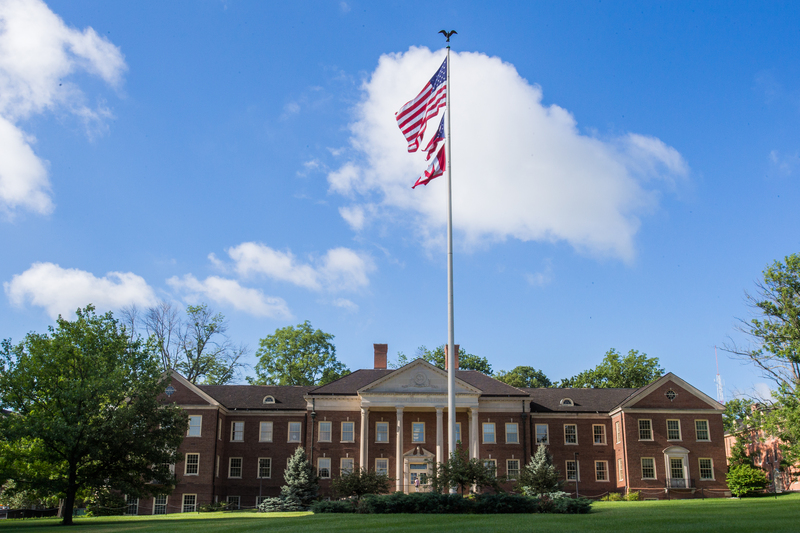 To promote the health of our students, faculty, staff, and visitors, all Miami University campuses are designated smoke and tobacco-free environments. See Tobacco-Free Miami for more details about this policy. A transitional work assignment is an interim step when returning to work after recovering from an illness or injury. The Transitional Work Program (TWP) allows for flexibility in selecting and assembling job tasks within the employee's abilities that may or may not fall within the regular job or department. Miami maintains multiple systems for alerting the university community about campus emergencies. The University has contracted with Omnilert’s e2Campus system to provide emergency notification and response services to the University community via text messages and email. The emergency text messaging system is available to all Miami faculty, staff, and students. These notices also post to the University home page and the University Police site. See the University's Weather and Other Emergency Closing Procedures.